Arrive at Broad Leys, launch/berth boats, registration. Evening 7pm for 7.30pm: Carvery supper (2 courses & coffee), chat at the bar or on the terrace. 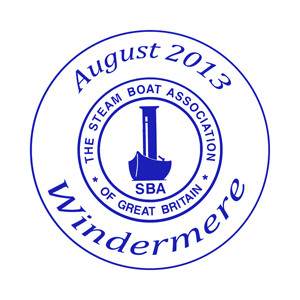 10am Steam to Wateredge Inn, Waterhead for 12.30 lunch (pay-as-you-go) or picnic at public jetty. Raft up for tea at High Wray or Miller Ground depending on weather. Evening from 6.30pm: private opening of the Millerbeck Railway with planned Burger/Fish&Chips van (pay-as-you-go but bring own drinks). Dressing up day – let’s dig out those outrageous outfits! Prizes for elegance! 10.30am gentle steam to the Royal Windermere Yacht Club, Bowness for lunch (pre-booking and payment necessary), afternoon visit to the Steamboat Museum. Evening 6.30pm: homemade pie supper at Broad Leys, then evening steam round Belle Isle (maybe with fireworks!) or guided stroll up Gummers How. 10am Steam to Wray Castle for 12 o’clock picnic in the harbour, ice-creams at Waterhead and/or tea stop at Belle Isle. Evening 7 for 7.30pm: Rally Dinner (3 courses & coffee) and SBA Presentations. and post it with your cheque.